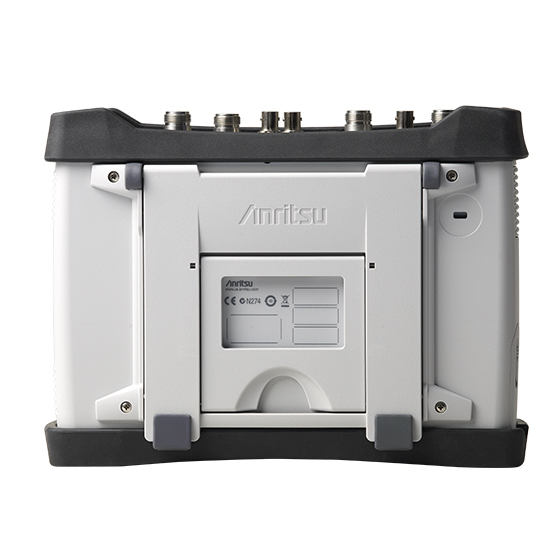 The LMR Master S412E is Anritsu's second-generation solution for installing and maintaining public safety systems. 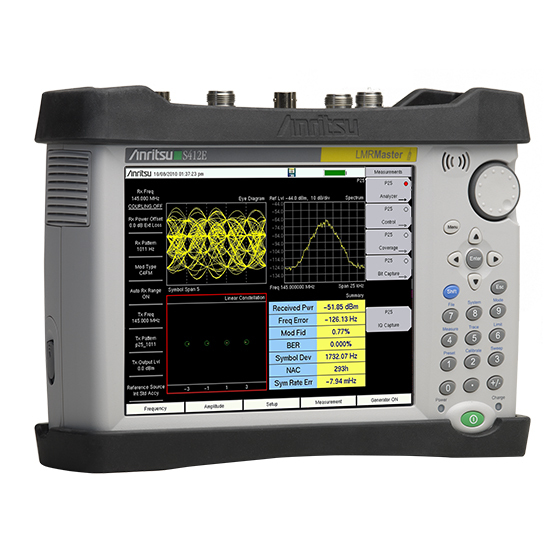 Built on Anritsu's ninth-generation handheld platform, this solution combines a high-performance receiver/spectrum analyzer with the world's most advanced handheld vector network analyzer (VNA). It also includes a CW/P25 (Phase 1 & Phase 2), DMR (MotoTRBO™), TETRA, NXDN™, and PTC signal generator with internally adjustable power from 0 dBm to –130 dBm. This instrument is ideal for land mobile radio (LMR) and professional mobile radio (PMR) technicians and engineers engaged in field testing the RF performance of NBFM, P25, P25 Phase 2 (TDMA), DMR (MotoTRBO), TETRA, NXDN, dPMR, and LTE for commercial, public safety, maritime, and critical infrastructure radio systems. It also offers support for USA Class 1 railway Positive Train Control systems. For railway operators that use GSM-R systems, the LMR Master can be configured with GSM/GPRS/EDGE measurements. 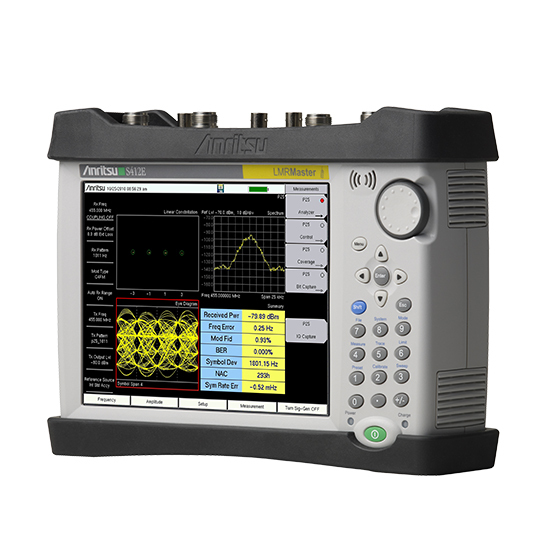 The base model comes equipped with a VNA and spectrum analyzer, plus support for analysis and testing of narrowband FM radio systems including coverage mapping of RSSI, transmitter SINAD, and transmitter THD. Optional support for digital land mobile radio standards including P25 (TIA-102.CAAA-C), P25 Phase 2 (TIA-102.CCAA), ETSI DMR Tier 2 (MotoTRBO), ETSI TETRA, NXDN, dPMR, and PTC is available. An optional GPS receiver enables support for coverage mapping (touchscreen-tagged when indoor, GPS-tagged outdoor) of analog and digital land mobile radio systems. It also offers options for over-the-air analysis of FDD-LTE for broadband public safety systems and analysis of WiMAX (Fixed IEEE 802.16d and Mobile IEEE 802.16e) for intersite backhaul systems. The instrument may also be equipped with a spectrogram recorder, interference analyzer with support for the Handheld InterferenceHunter™ MA2700A, programmable channel scanner, external high-accuracy RF power meter (including both terminating and inline sensors), distance domain for cable analysis, and a vector voltmeter. The high-performance 500 kHz to 1600 MHz VNA can be used to sweep cables and antenna systems. To power tower-mounted amplifiers, an internal bias tee is optionally available. Frequency domain reflectometry (FDR) distance-to-fault measurements are used to characterize antenna systems. The distance-to-fault measurements can easily spot poor connections, contamination, damaged cables, and water penetration. 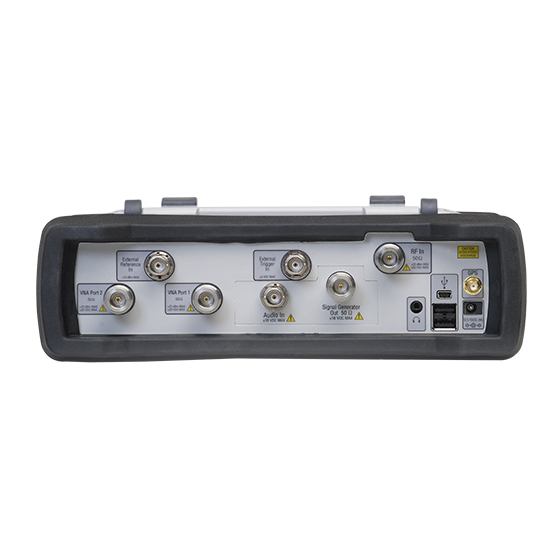 Both the VNA and spectrum analyzer can be optionally extended to cover up to 6 GHz. Patented RF interference rejection enables accurate, repeatable measurements in the presence of high-level RF activity. The LMR Master S412E's VNA offers excellent transmission dynamic range performance (> 100 dB) that can be used to view and adjust the RF performance of critical RF devices including filters, duplexers, transmitter combiners, receiver multi-couplers, and tower-mounted amplifiers. The measurements (in either frequency or time domain) are quickly displayed and updated with the S412E's fast 850 μs/point sweep speed. The display is variable from 2 to 4001 data points, allowing maximum flexibility for custom setups. 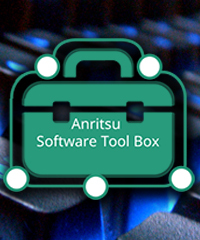 For users who prefer a more streamlined interface, the display can also be set to emulate an Anritsu Site Master. This solution has an excellent DANL of -152 dBm (RBW = 10 Hz, Atten = 0 dB, f < 2.4 GHz) combined with a third-order intercept of over +16 dBm. This makes this instrument ideal for identification and location of low-level signals that can interfere with land mobile radio systems, even in the presence of strong nearby transmitters. The LMR Master S412E comes standard with an industry-leading low phase noise (< -100 dBc/Hz typical @ 10 kHz offset) that allows precise measurement of NBFM, P25, NXDN, and DMR emission masks. The high-accuracy power meter option provides true RMS measurements using external sensors, including inline sensors. It is the ideal solution for making accurate measurements of both CW and modulated signals. Channelized power measurements can be made with the internal power meter, and the channel scanner option provides users with a convenient way to scan up to 20 channels. The LMR Master S412E includes data analysis software, soft carrying case, rechargeable/field-replaceable battery, AC/DC power supply, 12V automobile cigarette lighter adapter and a comprehensive User's Guide. Included NBFM Analyzer quickly and accurately measures Carrier Power, Carrier Frequency, Frequency Error, FM Deviation, Modulation Rate, SINAD, THD, Occupied Bandwidth, and decoded CTCSS/DCS/DTMF. NBFM Coverage Mapping measures RSSI Transmitted SINAD and audio SINAD from user radio, and tags the recorded value with both GPS coordinates and altitude. P25 / P25 Phase 2, DMR (MotoTRBO™), TETRA, NXDN™, dPMR, and US PTC Signal Analyzer Measurements (Measurements vary by Analyzer Mode): Received Power, Frequency Error, Modulation Fidelity, Error Vector Magnitude, Symbol Deviation, NAC and BER for 1011 Hz (P25) or 1031 Hz P25 Phase 2 / NXDN / ETSI DMR, and O.153/V.52 pseudorandom test patterns. BER estimation from voice traffic, and BER/MER (message error rate) measurement from control channel traffic. Linear or Traditional Constellation, Histogram, P25 & NXDN Control Channel hex decodes, TDMA power ramp profile in P25 Phase 2 mode, TETRA Summary display for downlink parameters. P25 / P25 Phase 2, DMR (MotoTRBO™), TETRA, NXDN™, dPMR, and US PTC Coverage Measurements: The LMR Master S412E supports digital radio Coverage Mapping with annotation of received power and BER for 1011/1031 Hz test patterns, and O.153/V.52 test patterns, BER estimation from voice traffic, and BER/MER (message error rate) measurement from control channel traffic along with GPS tagging of data (location and time) enables system performance and coverage analysis without requiring transmitters to be taken offline. With the industry's best receiver, the LMR Master can accurately measure BER and Modulation Fidelity down to realistic -110 dBm signal levels. BER and Modulation Fidelity or EVM coverage maps provide confidence that communications will be possible even with local interference or multipath effects. Mapping may be done both indoors (using touchscreen tagging) and outdoors (using GPS tagging). Coverage mapping generates files in both tab-delimited CSV and industry-standard KML format which are directly written to USB memory for record-keeping, offline analysis and mapping. The optional bias tee is integrated into the LMR Master and is designed for applications where both DC and RF signals must be applied to a device under test, such as a tower mounted amplifier (TMA). The PSN50 sensor makes high accuracy power measurements from 50 MHz to 6 GHz. The Channel Scanner option measures the power of multiple transmitted signals. GPS provides location (latitude, longitude, altitude) and UTC time information. The LMR Master can stamp each trace with location information to check if the measurements were taken at the right time and place. 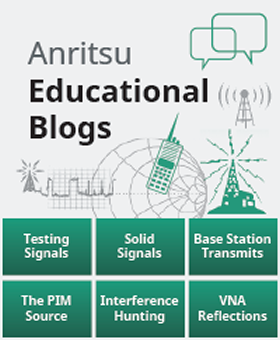 Master your career with Anritsu instructor-led certification training courses. For accurate RF power measurements. Indoor mapping provides the capability to map received signal strength in indoor environments. Mandates from the FCC to implement narrowband interoperable voice and data communications seek to help address this need. However, budget constraints make meeting these requirements a challenge. So how will you comply? 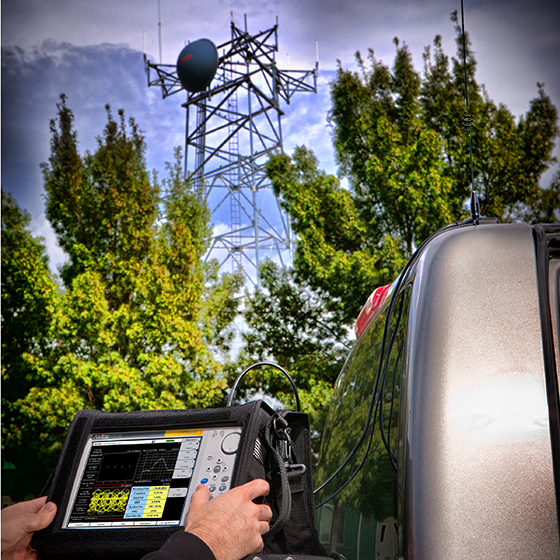 The LMR Master is the ideal instrument for Land Mobile Radio (LMR) and Public Safety System technicians and engineers.